Marriage is all about two souls bonding into one. It is also an important step in the lives of two different individuals, exploring each other and trying to jointly achieve their dreams and emotional security. The care that couples give each other is the ‘insurance’ that one looks for in a marriage. One should continue to receive the same care even in case of an unforeseen loss of one partner. Two lives under a single policy is the new realization among the newly-married ones. “Opting for a joint term plan makes perfect sense for a married couple, since it offers all the benefits of two separate term policies in a single plan but at a relatively lesser premium,” comments Anil Kumar Singh, Chief Actuarial Officer, Aditya Birla Sun Life Insurance. Marriage is not all about walking on beaches at sunset holding hands and candle-light dinners with sparkling wine or buying expensive gifts. A good financial planning is necessary in not only securing the marriage but also to reduce any unforeseen burden. Insurance firms have found a new way in joint term policies in the last few years. “We enjoy paying low premium and cover my wife and I under a single-term plan. 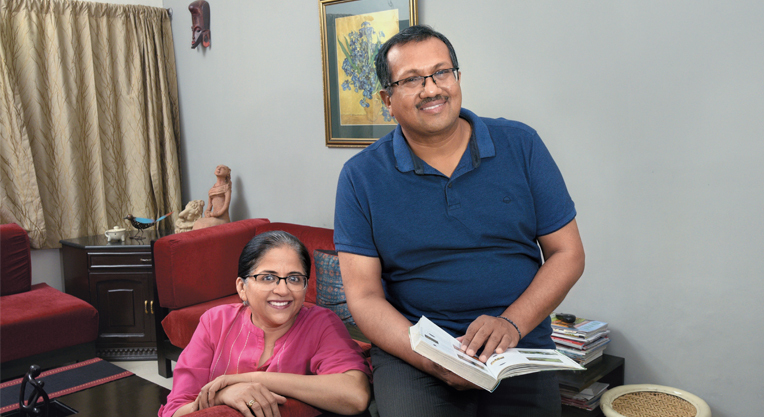 According to us, term insurance is one of the best ways to give financial backup for my loved ones”, say Jaipur-based couple Balveer Singh Rathore (28), Software engineer and Himani Shekhawat(28), home maker. Indian life insurers offer joint several term life plans. Some of them customize these policies to meet the specific requirements of customers. Joint life insurance policy offers security to not only the spouses, but also their children and parents. Companies like Aegon Life Insurance and PNB MetLife Insurance offer joint term plans for married couples, they even extend the insurance cover to both working and non-working wife, while other insurance firms provide only for working couples. Even in case husband and wife are business partners in a single firm, both will be covered as co-owners under a joint term life plan. “I am the only breadwinner in my family and was looking for an alternative financial security. After marriage I realized the importance of financial security and it’s my responsibility to provide that financial security adequately,” says Rathore. Joint term plan covers pure risk and provides protection against untimely death during the policy tenure. Payout option is also available for monthly income (regular), one time payout and total payout. The offer varies depending upon the insurance plan. “It is also easier to track the payments, benefits and other allied services of a single policy than two separate plans, especially at the time of claims. Moreover, a joint life plan is more cost effective as compared to purchasing two separate plans”, says Singh. Life insurance is a tool and one can use this as a secured saving to meet his/her financial goals in the long term. He cites his own example to explain the reason for picking up a joint endowment plan which is a combination of investment and protection. An endowment plan offers both death and maturity benefits. “If both of us survive till the policy matures we will get the sum assured along with bonuses. The best thing about joint life insurance is low premium”, says Mutum Rebika, 45, wife of Jiten. According to industry experts, Indians often tend to consider insurance as an option. Lack of insurance awareness is the major reason people take insurance as an option and not as a necessity. “Every married couple must have a joint life insurance and it should not be optional. Both of us are working and my insurance agent suggested me to go for joint endowment plan and that’s how I bought it “, says New Delhi-based Kuldip Kapoor, 59,who picked up the policy in 2004. Kapoor’s wife Suchitra, 57, is of the view that Government should encourage or make it mandatory for married couples to buy joint life insurance plan. Web aggregators have made it easier for people to compare various joint term policies that allow them to choose the right insurance plan from various websites. According to Mahavir Chopra, Director—Health, Life and Strategic Initiatives at Coverfox.com, approximately 92 per cent of couples buy individual term plan and only eight per cent buy joint life insurance policy (joint term plan). He also points out there are customers who want to include their spouses in a joint term plan, as she might not be eligible for an individual term plan if she happens to be a home maker. Others may want to do it out of love for their spouses, while some might have taken a joint loan for their house and want to secure the debt with a term insurance plan, says Chopra. India with a comparatively low divorce rate has somehow not been able to inspire couples to go for joint life insurance. According to Unified Lawyers Research, Luxembourg, Spain and France have the highest divorce rates globally while India, Chile and Colombia have the lowest. “At the time of the purchase of a joint life plan it is required for the couple to be married. In an eventuality such as divorce, the insurance firm does not cancel the policy benefits. However, in case of a claim for payout, the same will be processed in accordance to a judicial decision, if any,” says Singh. Joint life insurance will not only save huge amount for couples in the long term but also offers a slew of tax benefits under section 80C of the Income Tax Act 1961, on premium paid for the life insurance policy. An individual can only claim tax benefit under section 80C of Income Tax Act, 1962, on life insurance policy (s) bought in the name of self, spouse or children. The maximum amount an individual can claim as deduction under section 80C is `1.5 lakh as per current Income Tax laws. “Administratively it is very convenient for the policyholders to maintain one policy instead of two. Hence chance of the cover continuing for full term remains very high”, says Singh. Additionally, many joint life plans provide a ‘waiver of premiums’ feature while the policy is in force, the survivor would receive an assured lump sum immediately. In addition, one would no longer have to pay premiums in the future and the coverage will continue. Khalid Ahmad, head, Product Management at PNB MetLife explains that there are some joint life term plans in the market which continue with reduced premiums in case of the primary policyholder’s death, instead of complete waiver of future premiums. Further the policy’s nominee (example: couple’s children) would receive another lump sum in case of a spouse’s subsequent demise during the term of the policy. So, if you just got married, gift yourself a joint term insurance—it costs less than that solitaire diamond ring. The earlier you buy, the better it is and enjoy dual benefits of buying a joint life plan instead of separate life insurance policy. Pay less and save more with joint life insurance and double your financial security for each other and also your family.